Located in close proximity to the Forbidden City, construction is underway on the new headquarters of China’s oldest art auction house. 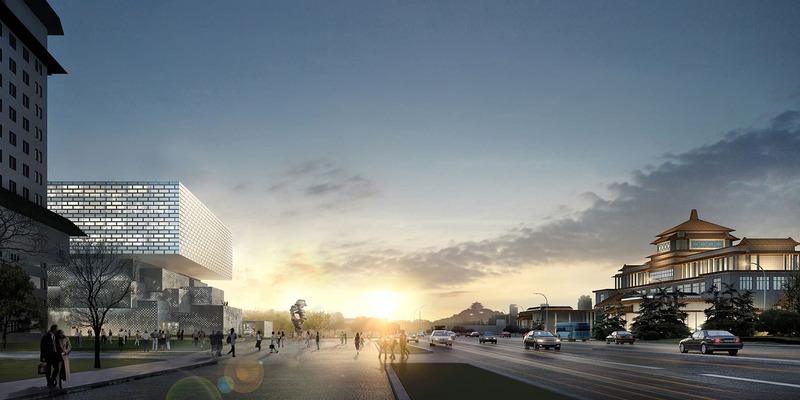 Embedded in the historic fabric of central Beijing, the building will form a new hybrid institution between museum, event space, and cultural lifestyle center. 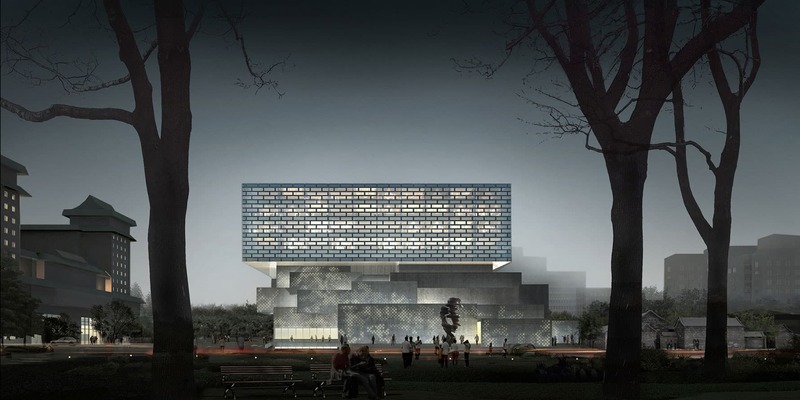 Ole Scheeren’s design for the Guardian Art Center carefully inscribes the building into the surrounding context, in a sensitive architectural interpretation that fuses history and tradition with a contemporary vision for the future of a cultural art space. The ‘pixelated’ volumes of the lower portion of the building subtly refer to the adjacent historic urban fabric, echoing the grain, color and intricate scale of Beijing’s hutongs, while the upper portion of the building responds to the larger scale of the surrounding contemporary city. This floating ‘ring’ forms an inner courtyard to the building and further resonates with the prevalent typology of the courtyard houses in Beijing. “The Art Center will be a tangible link between past, present, and future. It celebrates history and tradition while also representing an important social and civic amenity for the capital” says China Guardian’s Chairman and Founder, Chen Dongsheng. The Guardian Art Center represents a new hybrid concept for a cultural institution that transcends the traditional functions of an auction house. Merging the display and presentation of art in its museum spaces with the multifunctional capacities of its exhibition and auction rooms allows virtually any type of usage and event to take place. The seamless integration of several restaurants and a 120-room hotel in the floating ring of the building with views to the Forbidden City creates an encompassing lifestyle concept centered on the experience of art and culture. Through the addition of educational facilities in its central ‘club tower’ and art conservation departments in its basements, the Guardian Art Center further manifests its position as the world’s first custom-designed auction house headquarters and a new hybrid art space.